It is difficult for a patient who has suffered a miscarriage or stillbirth to engage with their office after a loss. These small, but compassionate steps on your part can make a huge difference in your patient feeling well cared for and respected, or leaving even more traumatized then when they arrived for an already much dreaded appointment. ​Cancel all future appointments and sonograms. There is nothing more painful than miscarrying, being at the office for follow up blood work, and then getting a call to confirm your sonogram appointment! YES, it DOES happen - more often than you realize. ​Consider flagging your loss patients' charts in such a way that any staff who picks them up knows this is a loss patient and can interact with them accordingly. Uninformed conversations that cause further trauma have been the reason many patients have left their current provider. If at all possible, have follow up appointments at a separate time of day. It would be very considerate to reserve follow up appointments for miscarriages or 6 week follow ups after a stillbirth either first thing in the morning or right after lunch if at all possible so that she does have to sit in a waiting room full of healthy pregnant women. Consider having follow-up appointments in a room that does not feature baby or maternity art on the walls. Even though she is still considered a maternity patient, please make the extra effort to put her in a GYN room for follow up appointments. She is sitting in that room usually at least 10-20 minutes and it is VERY painful to have to sit and have nothing else to look at but the huge reminder on the wall of what she just lost. ​Consider requesting our miscarriage resource. It's in a nondescript envelope that you can hand to your patients when they come in for a follow-up appointment. 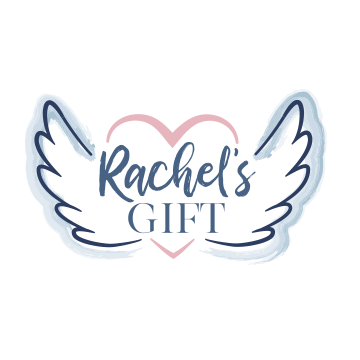 It includes a silver charm that is a heart with angel wings, that they can wear on a necklace or bracelet as a physical connection to the baby that was lost. It includes the poem "The Cord" on the back and it includes our website on the front, where they can visit if they need additional support. If you would like any more information or the miscarriage resource for your loss patients, please feel free to contact us. We provide them at our cost for $1.00 a piece plus shipping. ​For your terminal pregnancy patients, consider keeping on hand a keepsake that records the baby's in-utero heartbeat. After she delivers and the baby has passed, this is a comforting keepsake of her baby's heartbeat. 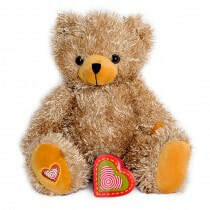 We use "My Baby's Heartbeat Bear" and they can be purchased directly at www.mybabysheartbeatbear.com.